Photo courtesy of zimbio.com. 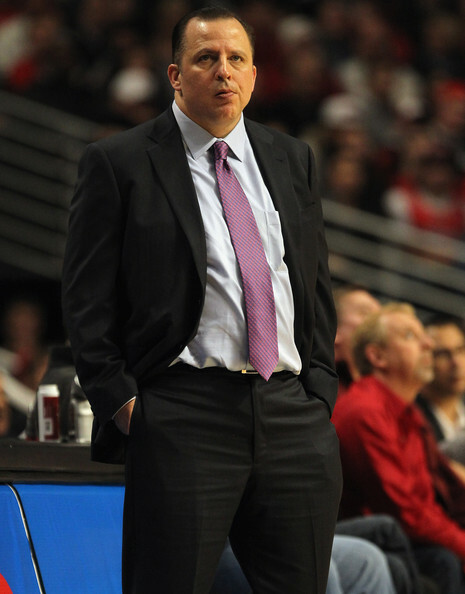 The Bulls have become an afterthought due to Derrick Rose’s injury, but with Tom Thibodeau (pictured above) running the show, don’t count Chicago out just yet. In the wake of Dwight Howard going to the Lakers, Andrew Bynum going to the Sixers, and Joe Johnson going to the Nets, the 2012-2013 Chicago Bulls lie somewhere in the desert. This is the team that had the best record in the NBA over the past two seasons and lost their superstar Derrick Rose to a torn ACL in the first round of the playoffs last season. This is the team that was the biggest threat to Miami in the Eastern Conference before that injury. Photo courtesy of guestofaguest.com. Two former number ones left Madrid as Champions. 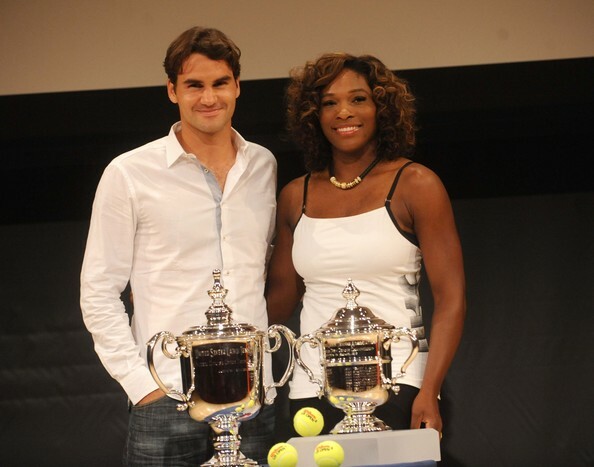 Will Roger Federer (left) and Serena Williams (right) both make deep runs at the French Open? Playoffs, playoffs, and more playoffs. It is a great time of year in sports. And the best part is the playoffs are just starting to really heat up as we enter the later rounds for both the NBA and NHL. Last week was a blast and the English Premier League’s heart stopping finale was the cherry on top, but this week should be a good one in its own right. Here are the events to keep an eye on. 5. Despite a good few months until the NFL season officially kicks off, the trash talking and storylines are just as juicy as ever. Chad Ochocino has warned Goodell at the possible storm that seems inevitable in the wake of Junior Seau’s death and the heavy emphasis on head trauma. In addition, two familiar NFC East foes were jabbering during yesterday’s holiday. Osi Umenyiora wished LeSean McCoy, a “Happy Mother’s Day.” Lastly, the Vince Young train has landed in Buffalo. Talk about a major bust. It may only be May, but the excitement is mounting. Who else is excited for some NFL football? Photo courtesy of zimbio.com. Andre Iguodala (pictured above) ended Chicago’s championship aspirations last night as he hit two huge free throws at the end of a great Game 6. The Chicago Bulls led 99-87 with under two minutes to go in Game 1 of the first round of the playoffs against the Philadelphia 76ers. Derrick Rose appeared to have shaken off his rust from various injuries throughout the season. He was on his way to a triple-double, pouring in 23 points, 9 rebounds and 9 assists. The Bulls had dominated the Sixers and were healthy for the first time all season. Then it happened. Rose was down holding his left knee. Photo courtesy of zimbio.com. 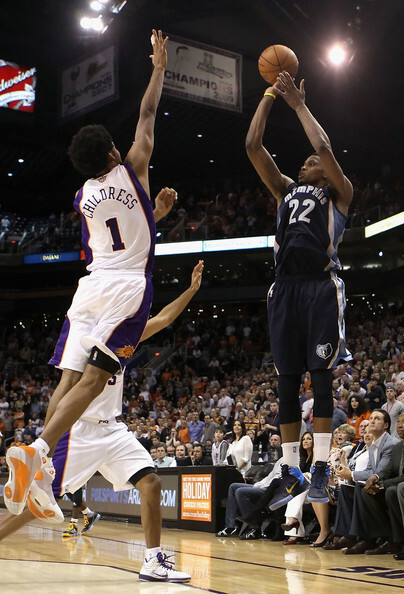 Rudy Gay (pictured above) is the main guy in Memphis these days. After suffering a heartbreaking loss on Sunday, the Grizzlies will rely heavily on Gay to help get Memphis back into the series. Today is a special day for “TheSportsKraze.” Back when I started this blog in September of 2009, I never could have imagined all that I would learn from this experience. Writing daily on this forum has truly been a blessing and helped me grow as both a writer and as a person. When my roommate convinced me to start “TheSportsKraze,” I figured it would be a nice little hobby that may get some looks from ten to twenty of my closest family and friends a day. These days, “TheSportsKraze” has become a major part of my daily routine and is read by hundreds of people from across the globe every day. Well today, we have hit the 900th post. Please take it in and enjoy. All NBA fans had the Clippers/Grizzlies series circled as the one that would provide some fireworks in the opening round. Well the series opener did not disappoint by any means. I turned the game off after the third quarter. It was already kind of late, and the Grizzlies were absolutely making a mockery out of “Lob City.” Shame on me for not watching the full 48 minutes. The beauty of sports is no game is ever over until the final horn sounds or the final out is made. I learned this as a young child when Reggie Miller ripped the hearts out of the New York Knicks by scoring eight points in nine seconds on May 7, 1995. Photo courtesy of mutualuniversity.blogspot.com. 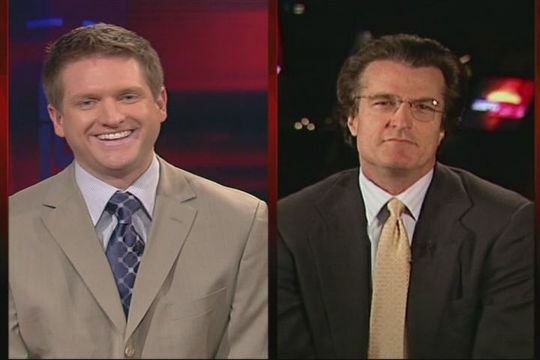 People received a heavy dose of Todd McShay (left) and Mel Kiper (right) this weekend. There is still plenty more to come. How many times this weekend did you hear the following lines? “That’s a reach.” “The sky is the limit for this guy.” I don’t know about the rest of you, but I am all NFL Drafted out. It is a great event. But on to the next one. What a great time in sports right now. Major League Baseball is just getting going. The NBA and NHL playoffs are in full swing. Here are the events to keep an eye on this week. 5. Have you had enough of the NFL Draft yet? Well guess what, the coverage is not over. Despite the insane amount of attention that the NFL’s marquee off-season event received, there is still plenty more to come as the experts try to tell you how good or bad your team did in the war room. Here are a few interesting statistics in regards to the 2012 NFL Draft. -55% of the drafted players (142 of 253) came out of the SEC, ACC, Big Ten, and Pac-12. -Alabama has turned into the new NFL U (8 players selected). Plus, the Crimson Tide became only the second school ever to have multiple underclassmen selected in the first round of the draft in three consecutive years (Miami is the other). -Times are changing. The Sunshine State was not smiling on Thursday night. No players from Miami, Florida, or Florida State were selected in the first round for the first time since 1980. -A new record of 19 early entrants were selected in round one (the previous record was 17 in 2010). Is this the Year the Chicago Bulls Return to Glory? Photo courtesy of hdnux.com. 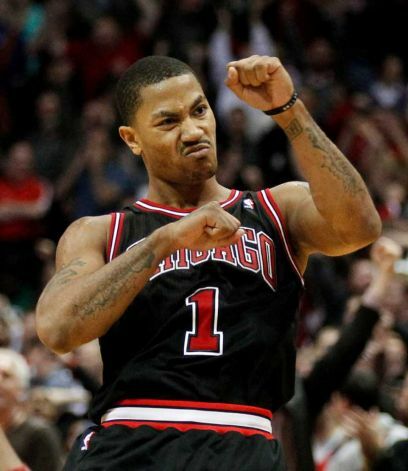 Can Derrick Rose (pictured above) lead Chicago to a championship this year? Our very own Wesley Kaminsky certainly hopes so. Lately, I’ve been daydreaming in my head. It’s a pleasant dream, in fact. I envision Derrick Rose nailing an 18-foot jump shot from the top of the key over the outstretched arms of LeBron James to send the Bulls to the NBA finals. In this glorified shot, Rose shuts up all the doubters who say he is a choker, while not in any way eliminating the criticism of that James guy. LeBron I think is his first name. In this shot, I can hear Mike Breen proclaiming his infamous “Puts it in” call with an exclamation point, as Derrick Rose shuts the door on the Miami Heat, getting revenge for last seasons heartbreak. Rose does this in Chicago too. Screw it, in Game 7. This is only a dream, right? Why not make it the best it can be? I see Rose showing little emotion after the shot, rather just staring down the Miami Heat bench. Cold-blooded. The Bulls are headed back to the finals and get a chance to go for championship number seven, against say, the San Antonio Spurs. My daydream hasn’t gotten that far to think about the NBA finals yet though. I’m still trying to soak in what just happened against the Heat. Photo courtesy of zimbio.com. 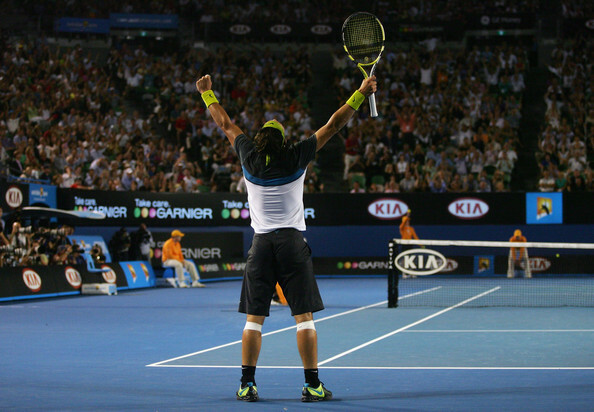 Rafael Nadal (pictured above) took home the title in Monaco last year. He hopes to repeat this week. Welcome to mid-April. NHL Playoff action is in full swing. The NBA regular season is wrapping up. And the MLB is part of the daily sports routine. There is so much going on in the sporting world. I hope you enjoyed the last week. This week will be a good one in its own right though. Here are the events to keep an eye on.